Drag deleted files onto desktop directly. However, you may empty recycle bin before you realize the inside files are vital. As a matter of fact, deleted files are not actually disappeared forever. They are just hidden momentarily until being overwritten. So remember not to save or change anything in disk after emptying recycle bin. The faster you take measures, the more files you could recover. 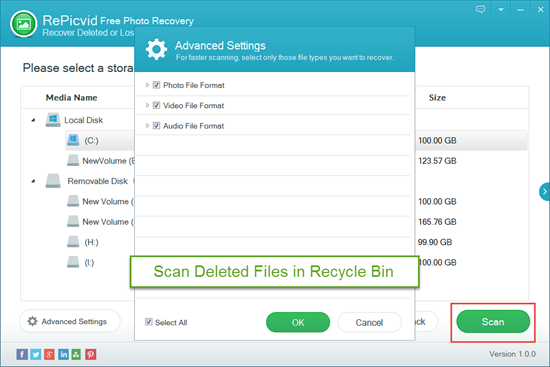 Here are two solutions about how to recover permanently deleted files from recycle bin after empty. Select a folder where deleted files are, and right click it. Choose restore to previous version. Normally the restore button is not available if you don’t use Windows backup or it won’t show any old version there. Then you may attempt another way. File recovery software is an alternative choice if there isn’t any previous version in your computer. 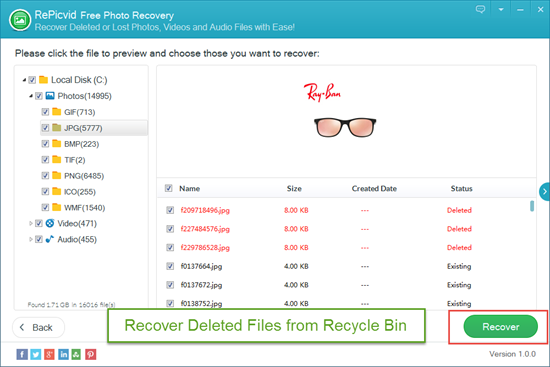 RePicvid Free Photo Recovery is capable of recovering permanently deleted files from emptied recycle bin. 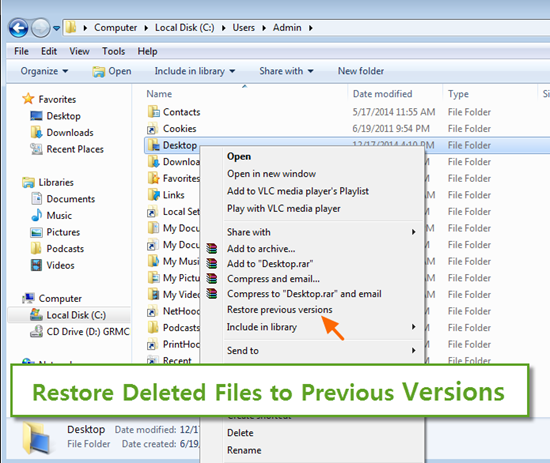 Follow the guide below to start restoring files from recycle bin. Run RePicvid and choose All File Types. Then select a local disk where you delete files before emptying recycle bin. Click Advanced Settings and select format of files, which will reduce scope and time of scanning. Then press Scan to start reading all deleted files in the disk you choose. After scanning finishes, preview deleted files. 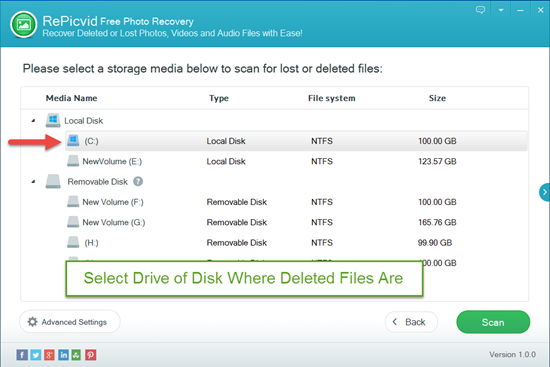 Choose deleted files you need to recover and save them to another drive or an external storage device. Just in case, it will warn you if you save them to the same disk. Right click the desktop and select Personalize. In the left panel, click Change desktop icon and tick recycle bin from a pop-up window. Then click OK to confirm. After that, your deleted recycle bin would show on desktop again.